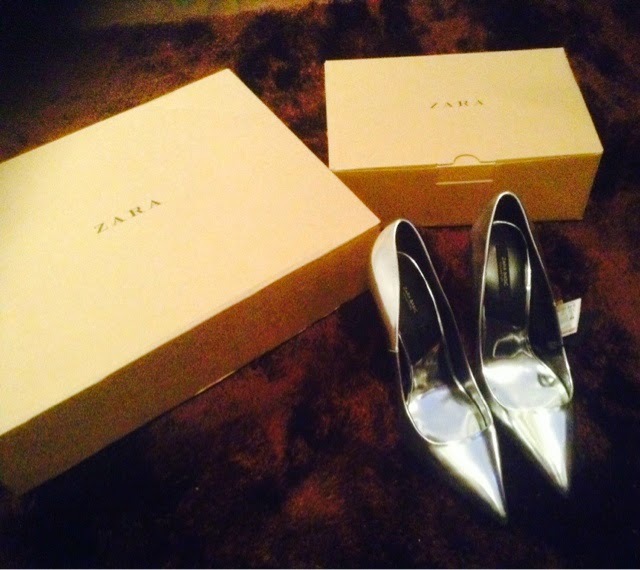 The Pursuit of Ivy George: The pursuit of...Shoes, Sparkle and Festive Fun! I love shiny accessories! Whether its patent, embellished or metallic, like a magpie, as soon as I see the twinkle, I am all over it! 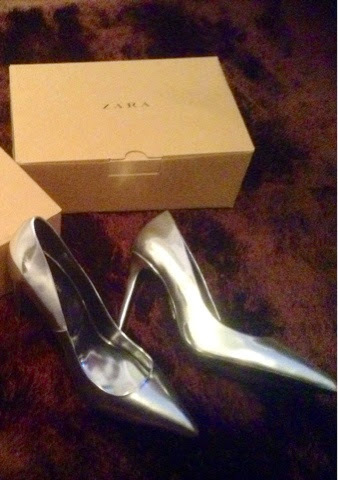 When I saw these metallic silver shoes in Zara, again, it was LOVE at first sight for me. They looked almost like a slick, shiny bullet or dart and looked fabulous with my skinny black cigarette pants. As I am so fussy, I opted to buy them online as the pair I tried on in store had a few (minor!) scuffs on them. These shoes are definitely a statement shoe and deserve to take centre stage of an outfit. I will be wearing these with a pared down monochrome outfit - i.e. black skinny jeans and a white shirt or my trusted black cigarette pants (which I love!) with a slouchy off the shoulder jumper in either black or muted grey. I was busy putting up my Christmas decorations last night so I was surrounded by sparkle everywhere!! Have you got into the festive spirit yet?